Melissa Made: Ghosts and Goblins, Oh My! Ghosts and Goblins, Oh My! Hi ya everyone! There's a new theme at SP & Company blog, Ghost and Goblins. 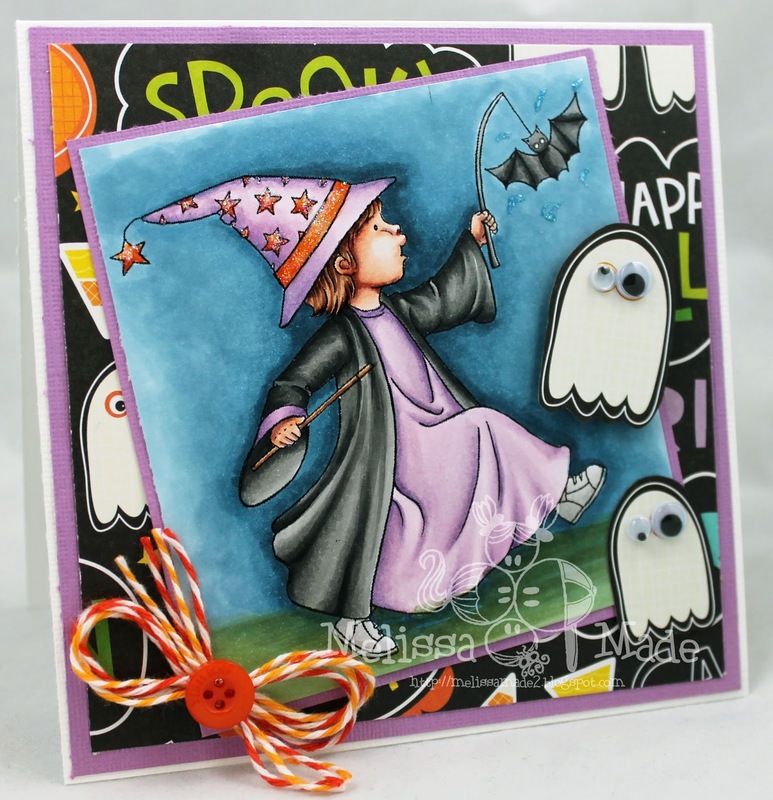 I used the adorable Halloween Boy Stamp by Gill Roberts. The button is also SP & Company and is in the Clownfish color. I love all the new colors at SP and have them on my wish list! Make sure to head over to the blog to check all the adorable creations from the design team.